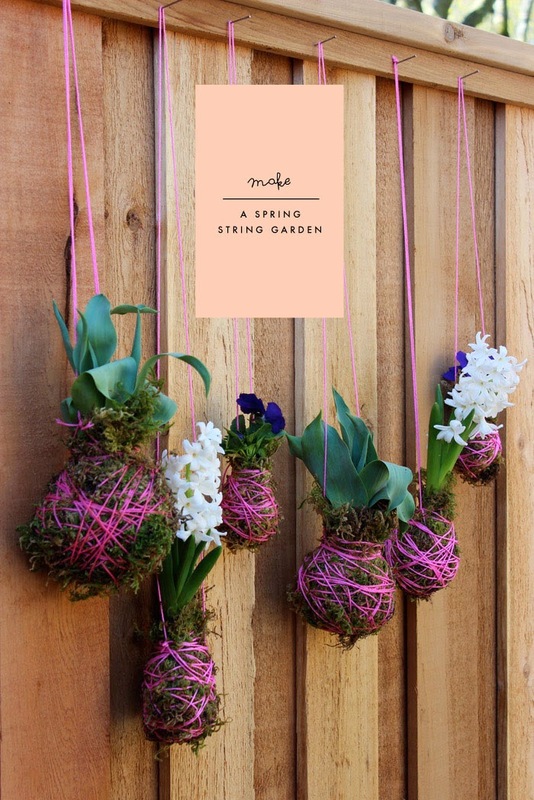 I've been wanting to try my hand at making a string garden for a while now and this past weekend was so nice, I decided to try the idea out on our back patio using spring bulbs and blooms. I thought they would also make a cute hostess gift or something you could give to a neighbor for Easter. They are fairly easy to make, in fact I want to try making some in "upside-down" mode. Here's how I made them. 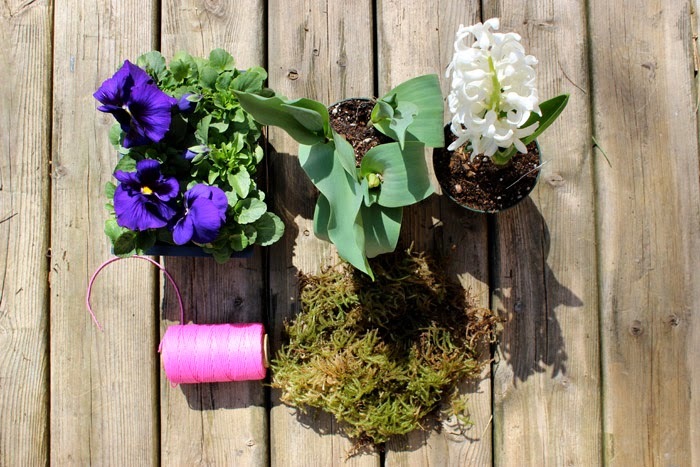 String (cord or wool —colour of your choice) or you could go with fishing line to make it invisible too. Start off by emptying the plant out of it's original pot (being careful not to damage the roots too much). Surround the plant with wet soil creating a ball. 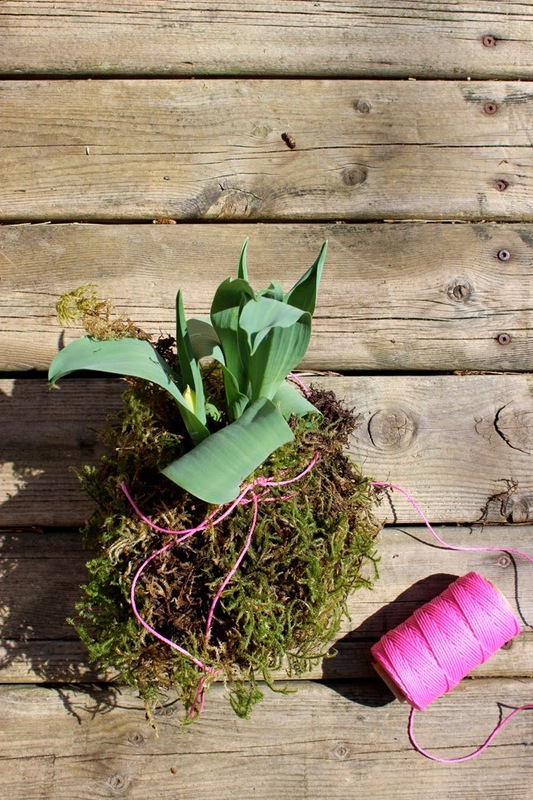 Cut a piece of sheet moss, enough to completely wrap around the ball. 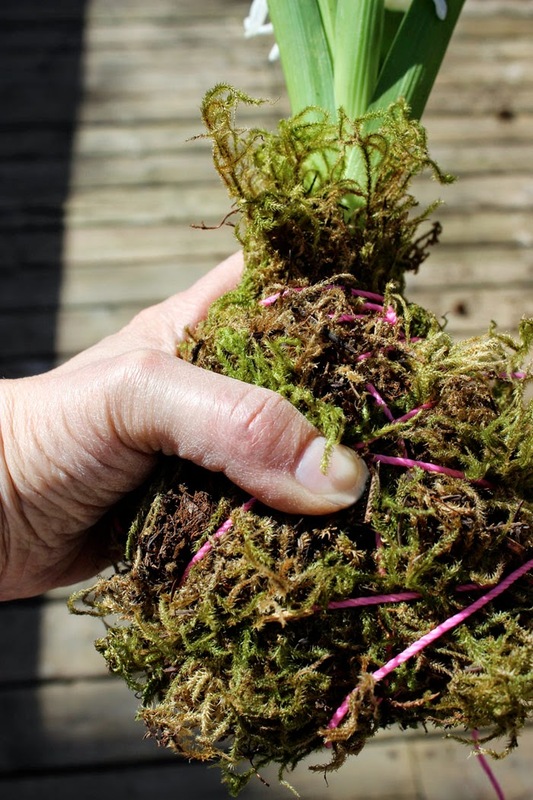 Wet the moss and then wrap it around the ball. Tie at the top to start. Then take another piece of string and wrap around the top a couple times and start to then wrap the string around the ball, wrapping tightly, and at the same time keeping the shape of the ball. Keep wrapping the string around the ball in random places until you have covered the entire ball to your liking. Tie a tight knot to secure. To hang, cut a piece of string and tie a knot tightly, on each side. 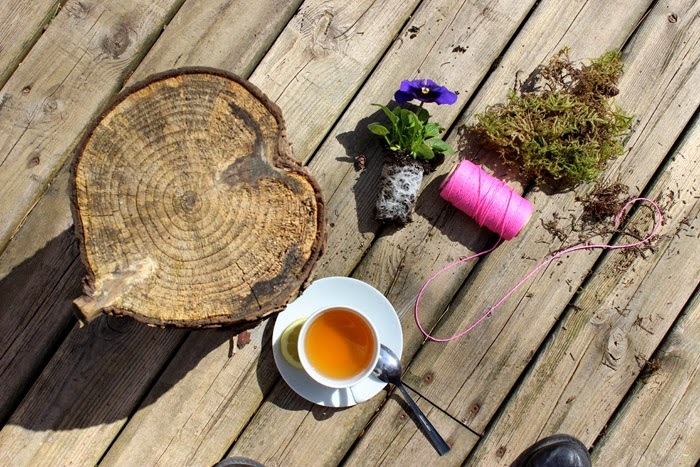 Hang and enjoy, or give to a special someone as a spring gift! Happy Easter and happy making! 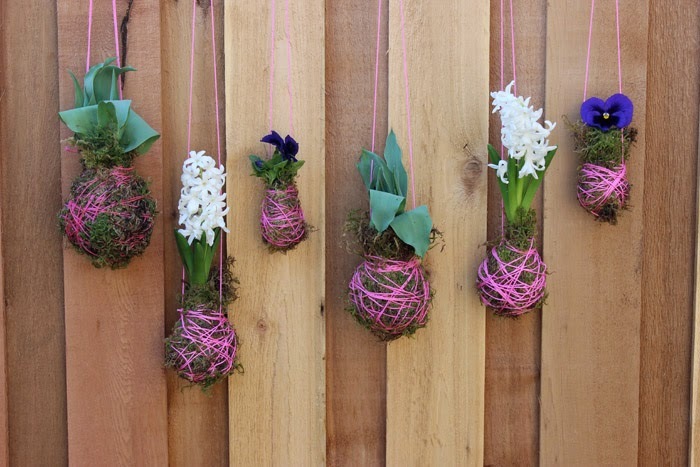 Wow this looks so easy to make, I would love to do this with hyacinth. Its a great idea. SO sweet and simple. Might have to try this. I'm always so jealous of our apartment neighbors with their sun kissed patio and small personal garden...these may be my fix. so cute! totally want to try. This is beautiful! And perfect for my backyard patio! One question though. How do you care for them? Just dip them in water to wet the moss?